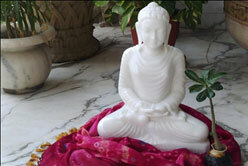 We are one of the leading firms engaged in offering an assortment of Marble Carvings to the patrons. 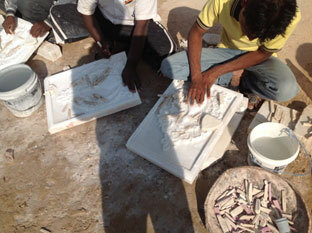 These carvings reflect the craftsmanship and creativity of our skilled designers and artisans. Our professionals work in close consort with each other to understand their specifications and accordingly offer the carvings. We offer these carvings in a myriad of designs, color combinations and patterns to our patrons, who are located in the domestic and international market. These carvings are made keeping in mind the ongoing market trends at the most competitive prices to our respected customers. 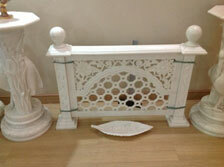 An endless range of our creativity and customization makes our art treasures cross all the barriers. 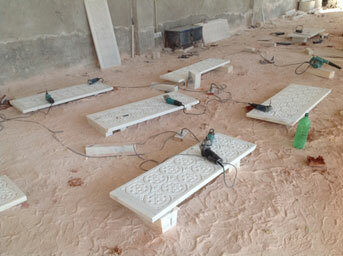 We design, manufacture and export the finest and admirable marble and other natural stone artifacts and products. The marble products endlessly range from Arches, Railings, Pillars, Art Objects, Staircase, domes, marble statues, marble inlays, paintings, religious statues, marble temples and furniture. 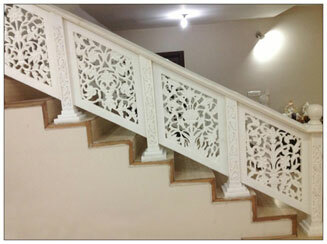 The fine engravings and carvings by Tulika Handicrafts, enliven age-old traditions of rich Indian art. Exclusivity of our products can be ascribed to the dexterous artistic skills acquired from all the regions of the country. 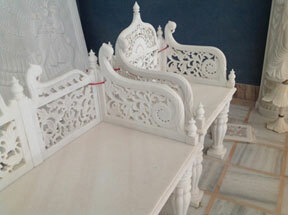 These carvings reflect the craftsmanship and creativity of our skilled designers and artisans. Our professionals work in close consort with each other to understand their specifications and accordingly offer the carvings. 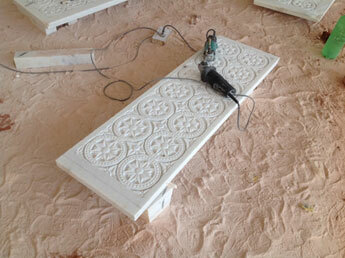 We offer these carvings at the most competitive prices to our respected customers located across the world. 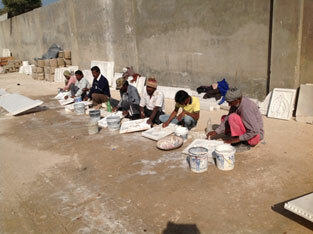 Our artifacts are the result of painstaking handwork put in by our dedicated workers. These truly novel pieces have been finely engraved and sculpted to present lifelike quality to inanimate objects. 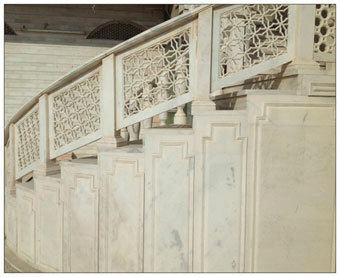 These carvings are engraved using supreme grade marble and advanced machines and equipment. 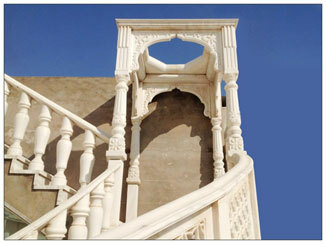 The alluring patterns and elegant designs of the carved aesthetic marble artifacts offered by Tulika Handicrafts add elegance to the interior as well as exterior of the houses. 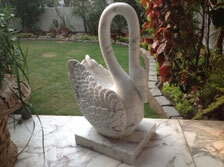 Exclusive range of marble Interior elements and Statuettes is a wonderful blend of magnificence and utility as a home and garden decor item, for which it is high in demand across the globe. Clients are eased with the availability of the marble statues and Interior elements designed keeping current trends in view.